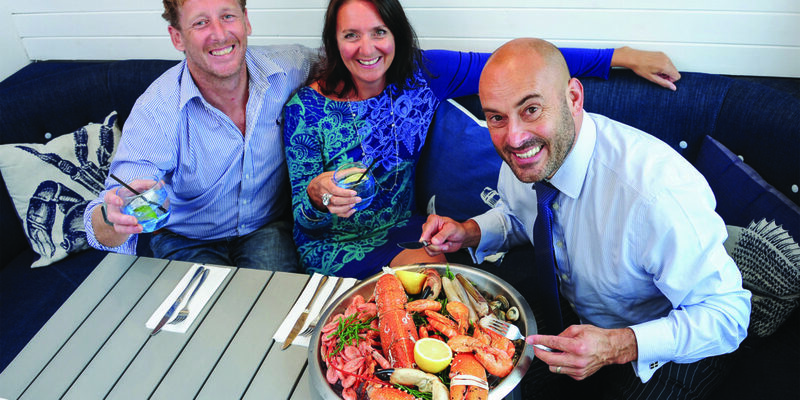 We head to Catch at Mawgan Porth to try out its delicious sea-inspired menu. 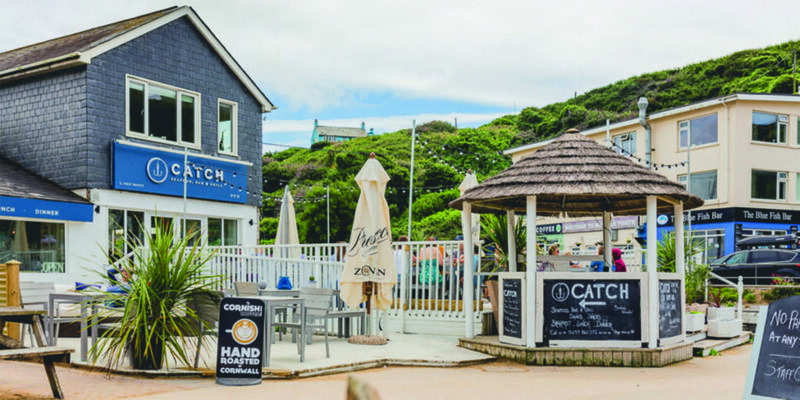 Following an invigorating walk along Mawgan Porth, watching the surf crash onto shore, I headed back up the beach for my own taste of the sea at Catch Seafood Bar and Grill. 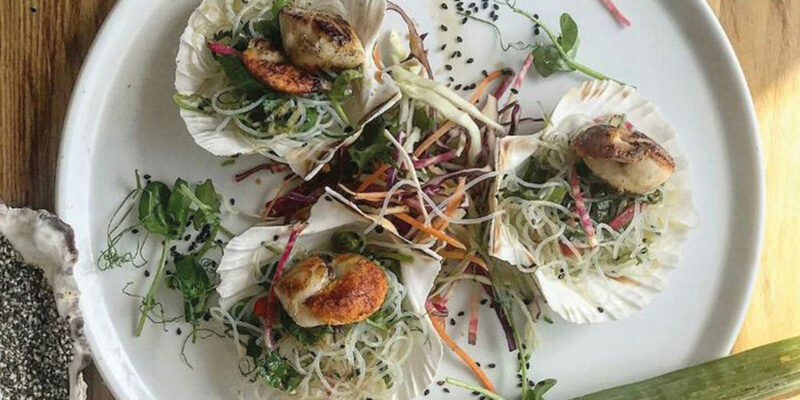 Located right opposite the beach, Catch is in prime position to enjoy the ocean views and some delicious seafood, because there really is nothing like being right next to the sea when you delve into all it has to offer. 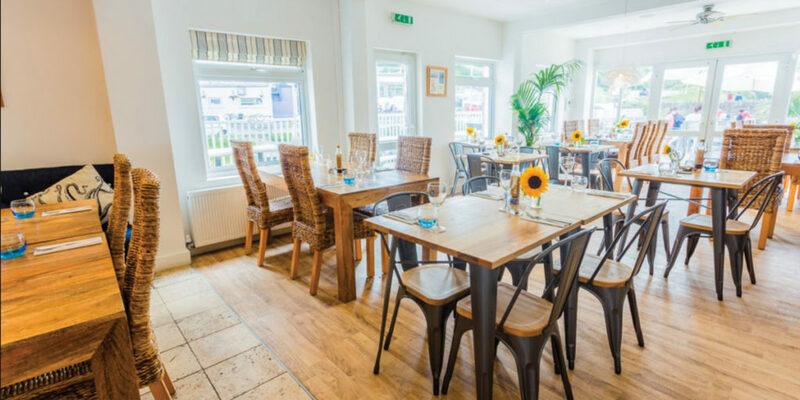 Inside, the light and spacious restaurant has wooden floors, wicker chairs and a blue tiled feature wall adorned with bottles of wine that gives a cosy coastal feel to the dining space. It also welcomes dogs so you don’t have to leave your furry friend behind if you’re out on a walk and fancy a bite to eat. 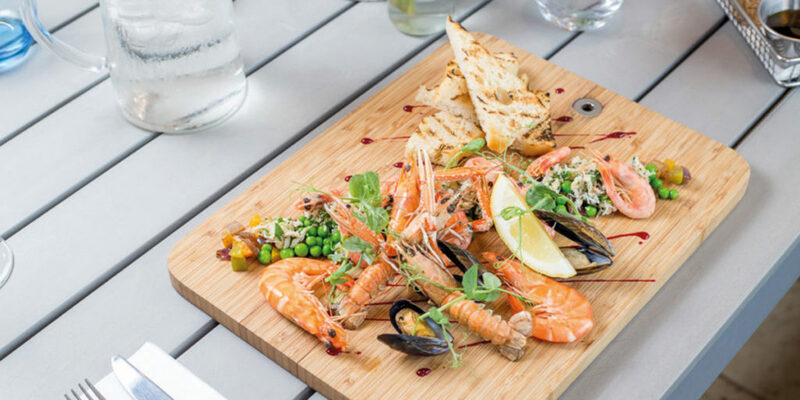 After scanning over the menu, I could see that this is definitely the place to go if you’re in the mood for seafood with traditional favourites such as lobster, crab and calamari alongside more adventurous fish dishes such as a Sri Lankan fish and seafood curry. Or, if you prefer to take your fill from the grill, there’s the classic steak and chips, burgers and even surf and turf, providing the best of both worlds. But as I was only here for a light lunch, I decided on the Catch mussels served in their signature marinière broth with a nice chunky slice of bread and wilted greens. 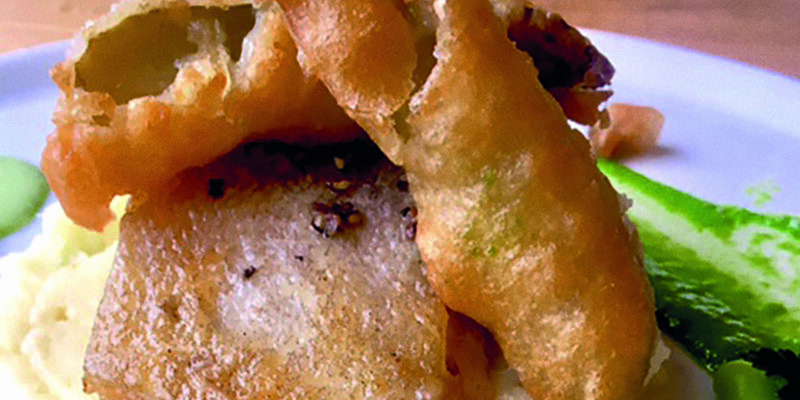 It was a flavour sensation, only made better when enjoyed alongside a crisp glass of Viognier and a steamy latte. The staff were attentive without being intrusive and I could certainly envision spending a lovely summer afternoon here with friends and family after a day at the beach. However, even dining alone in the depths of winter was a wonderful experience; hearing the distant waves crash and watching people walk along the beach while eating made the time slip away and before I knew it, I’d mopped up the last of my mussels and was ready to leave, satisfied and certain I would be returning soon. Don’t take my word for it though, next time you find yourself strolling along Mawgan Porth beach make sure to visit Catch and discover the team’s delicious sea inspired menu for yourself. Catch is open from 9.30am Friday to Sunday between January and March (open Valentine’s Day and every day over February half term). Also open every day from 5th April. "even dining alone in the depths of winter was a wonderful experience; hearing the distant waves crash and watching people walk along the beach while eating made the time slip away and before I knew it"